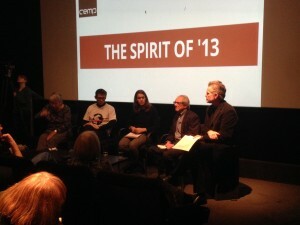 The film of the Spirit of 13 screening and forum with Ken Loach and contributors to The Spirit of ’45, is now online. The event, hosted by the British Film Institute, was the outcome of a collaborative research project undertaken by CEMP with the British Film Institute, Sixteen Films and the Media Education Association, for which people aged 25 and under produced inter-generational documentary films in response to Loach’s ‘The Spirit of ’45’. Dana Colbourne: The SMILE Project – Student Midwives Integrated Learning Environment.